A connection to a wireless network is a very simple process in iPhone and iPad. We open the Wi-Fi settings. We scan the network and connect to our desired wireless network after entering the right password. We can even save the secured network in our preferred list of connecting automatically whenever available. However there are times when connecting to a Wi-Fi network becomes a headache for an iPhone users. The iPhone won’t get connected to Wi-Fi network even after many tries. The Wi-Fi network simply refuses to connect. It can happen due to many reasons. There are easy solutions to solve out this problem. We will also try some of the advanced methods to solve your Wi-Fi won’t connect issue on iPhone and iPad. Your iPhone is not detecting Wi-Fi Networks. Your iPhone won’t connect but other devices connect without any problem. iPhone connected to Wi-Fi Network but no Internet Access in phone. You should follow the below troubleshooting method one by one to fix your iPhone and iPad Wi-Fi. One of the methods below will surely fix your Wi-Fi connection problem successfully. The first step in solving common issues on iPhone is to toggle Wi-Fi button. You must try this option. Wi-Fi option can be accessed via Settings app or by sliding bottom menu on iPhone and iPad. Simply switch off the Wi-Fi for few seconds and turn it back ON. Now go to Wi-Fi settings and connect to your desired wireless network to access Internet. Hopefully you will be able to access the Internet without any difficulty after getting connected successfully. It helps the Wi-Fi connection in many ways. Many people have found this extremely helpful in solving Wi-Fi won’t connect problem. If it didn’t help then you should proceed to method 2. You can access the Airplane mode from iPhone and iPad settings and bottom sliding menu. Click on the Airplane mode button to switch it off. Let it switched off for few seconds before turning it ON. Airplane mode toggle helps the iPhone in many ways. It helps in solving cellular network problems, Wi-Fi connection problems, Bluetooth connection problems and few other issues. Now go to settings in your iPhone and try to connect to your favorite network with the right password. I have tried it several times and it really helped many times in fixing the Wi-Fi connection. If Airplane mode didn’t help you out then you should proceed to the next method. The Wi-Fi and Airplane Mode toggle didn’t help you then you should try restarting the router/modem. If you are accessing the Wi-Fi network as Hotspot from some other mobile or computer then you should restart the connection. Many times the problem arises at the router end instead of iPhone. It won’t let iPhone connect to the network successfully. It may give issues like “Authentication problems, IP Address conflict or out of range issues. Restarting the router will help you get rid of such problems most of the time. If it didn’t help you out then you should proceed to the next method. Entering the correct password like a pro is a dream for many people. You remember the correct password and when you enter it in the network then it starts giving authentication problems. It’s because the password entered is incorrect. Make sure the Capslock Key is OFF. Remember all the letters, numbers and symbols properly along with caps letter before entering it in the password field. Password is always case sensitive. Enter it correctly and you will get connected to Wi-Fi network on iPhone without any error. If your password is correct then go to next method. You will see lot of Wi-Fi connections. Go back to Wi-Fi. Scan the network. Connect to the network and enter the correct password. 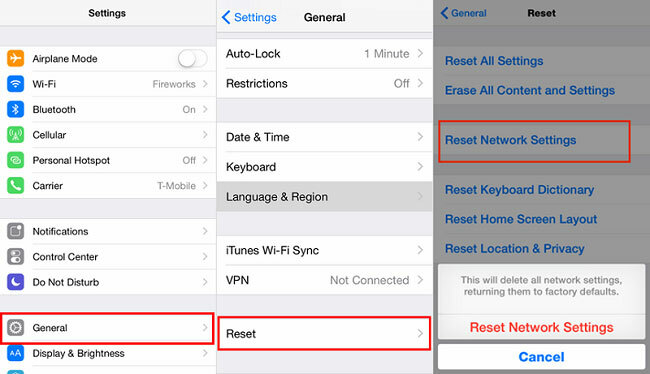 Forget network will delete all previous settings related to that particular Wi-Fi network on your iPhone. Even many Samsung users have found this trick extremely helpful in solving their Wi-Fi connection problem. If this didn’t help your iPhone in getting connected to Wi-Fi network then proceed to next method. In metro cities there are multiple Wi-Fi networks with the same name. You should not get confused with those networks. Entering the right password in the wrong network won’t connect your iPhone. People don’t change the default name of the connection. You many find multiple LinkSys, Cisco etc… Wi-Fi network because of it. The simple trick to solve this problem is to rename your network name. After renaming, you can scan the network and connect to it with the right password. If you are connecting to a right network with right password then proceed to next method. It’s one of the common fixes that most people prefer. If they have a problem with wireless networks, cellular networks, Bluetooth issues, hanging problems or any other app related problem then switching off the iPhone is the best option for them. Switch off the iPhone for few seconds and then turn it back ON. This will help your phone to get rid of all software glitches and get a fresh start. Restarting will also remove Wi-Fi won’t connect issue most of the time. You can do the same thing in your iPad too. Restart your iPad to fix software glitches. If restarting didn’t help you out then proceed to the next method. Many people have shared their experience with us. One of the experience that helped people in getting connected to Wi-Fi network is to switch ON the Airplane mode. It will stop cellular services, Wi-Fi and Bluetooth as well. Now Go to Wi-Fi settings, Switch it ON and connect to your network. Now Switch off the Airplane Mode. Sometimes the cellular networks interfere with the Wi-Fi networks. Keeping them off and getting connected to desired Wi-Fi network works every time for many people. You can try this method in your iPhone and iPad. When the iPhone tries to get connected to a Wi-Fi network then the router assigns an IP address to the iPhone and it gets connected successfully. 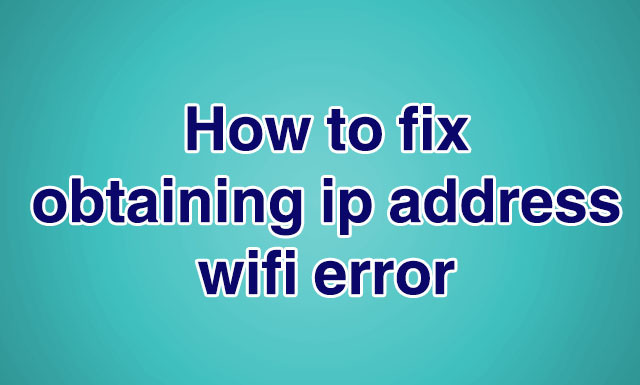 However there are times when router is unable to assign an IP address, takes a very long time, gives errors like Obtaining IP Address, IP Address Conflict, IP address unavailable or errors similar to this. In these cases you should assign a static IP address from your iPhone or iPad. Static IP will help you get connected successfully and you will be able to access the Internet. There are times when people complain that they got connected to the Wi-Fi network but Internet access isn’t available. “Connected but No Internet” problem can be solved if you switch from Static to DHCP settings while you are connected to Wi-Fi network. It will also remove “IP address conflict error, IP address not available error” and many other issues as well. Whether you know or not but date and time difference between the phone, router and your ISP can create a huge problem for iPhone. The date and time of the iPhone or iPad, router and ISP must be same. If there is a difference then you will be having problem in getting connected to Wi-Fi network and Internet access. Make sure it’s same. People have corrected their date and time and got connected successfully to the network on iPhone. If you are unable to do it then you should contact your ISP. For some unknown reasons, Bluetooth is creating problems in Wi-Fi connection for few people. Turning the Bluetooth off helped them getting connected to Wi-Fi network without any problem. You can try this little trick. It may help you out. You can turn off Bluetooth either by going to settings or bottom sliding menu in iPhone and iPad. iPhone offers a hard reset option known as “Reset All Settings” which you can found inside the Settings >> General >> Reset >> Reset all settings. If all the solutions above didn’t help then you can try this last solution. I still believe that one of the above solutions will surely fix your Wi-Fi connection problem. Tap on “Reset” option at the bottom. Tap on “Reset Network Settings” option. It will reset network settings and you will be able to connect to your desired Wi-Fi network. Hardware issues can create a huge problem. If there is any loose cable inside the iPhone or iPad then you can’t do anything because you don’t know it. However we advise you to give a hard shake to your iPhone or iPad and a little tap on the backside of both of these. People have told that it fixed their Wi-Fi problem. Make sure that you don’t let the phone or iPad slip out of your hand. The last resort is to give your iPhone in the Apple service center and let them fix it for you. They can only fix if the iPhone has a problem in software or hardware. If problem is with your home network or Hotspot then it won’t make a difference. Double check every solution so that it can be fixed while you read this article. Do tell us if you have any other solution to “iPhone Won’t Connect to Wi-Fi. This entry was posted in iPhone Settings, Wi-Fi Connectivity Issues on January 6, 2018 by satyenhacks.